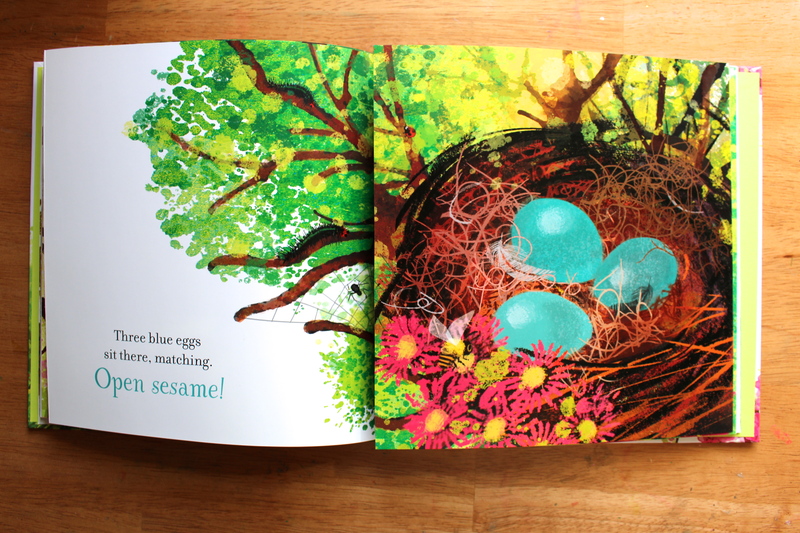 New blooms, cocoons, the return of birds singing, and the delight of running barefoot outside– This vibrant book is full of the wonders of the season. 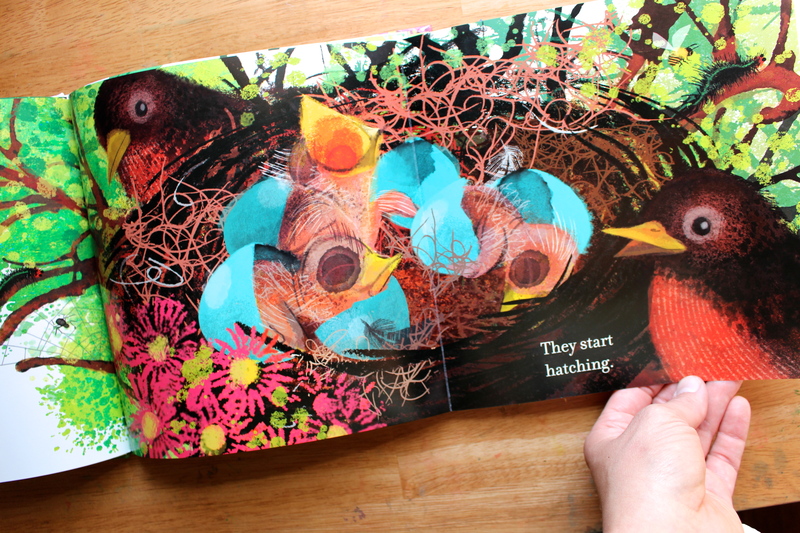 One thing I would like to note is that if you’re a teacher or librarian and plan on reading this book to a group of kids, you might want to practice saying the magic words. Some expressions like “Alizebu” may or may not be familiar to you. That one was new to me! 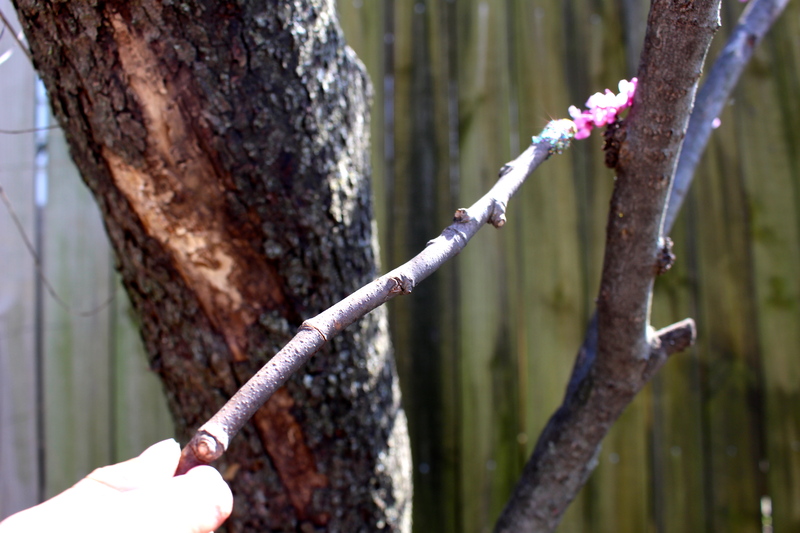 Nature is a magnificent show if you take time to notice and Abracadabra, It’s Spring! highlights the prelude of spring magnificently. 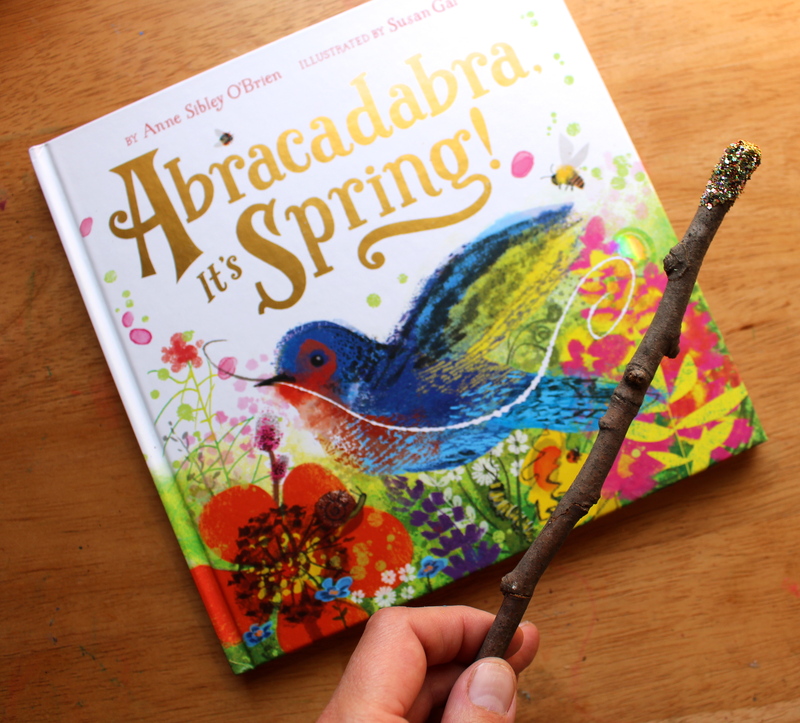 After enjoying Abracadabra, It’s Spring!, try making some springtime magic of your own and explore the wonders of the season with a magical spring wand! 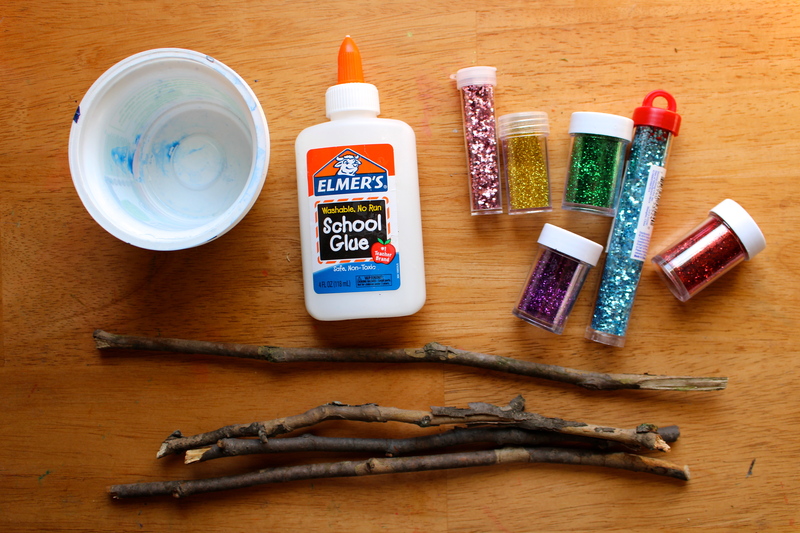 Adding a seasonal twist to this project from Interaction Imagination, making wands from found sticks is a fun way to explore the surprises of springtime by looking closely and observing the differences in the environment. 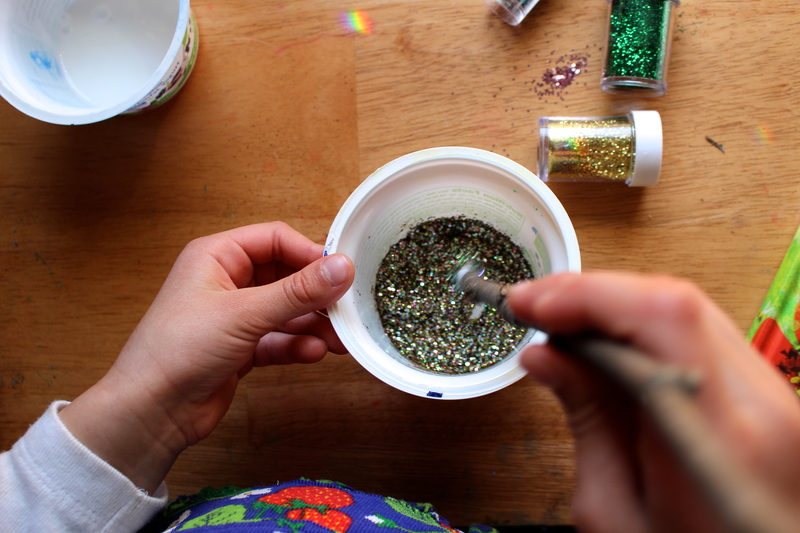 Some of the changes are quick and happen right before your eyes! 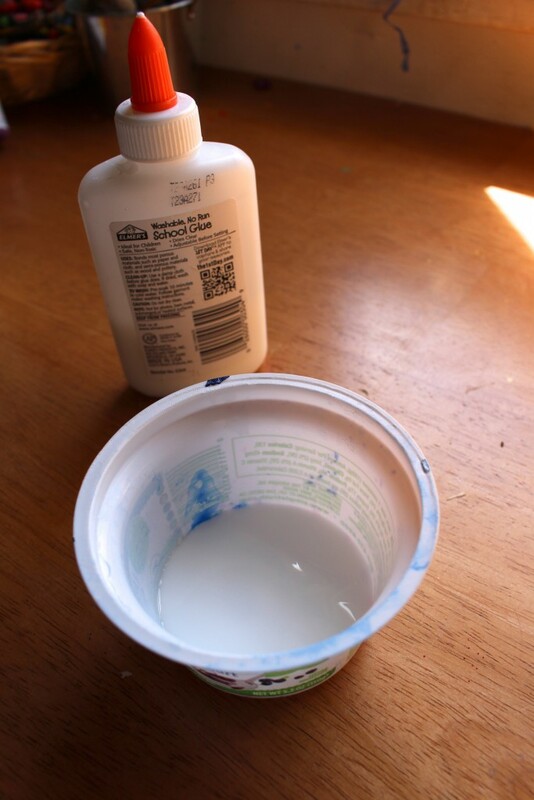 This craft takes maybe 10 minutes tops from start to finish not including drying time and uses materials you might already have laying around the house and in your neighborhood. 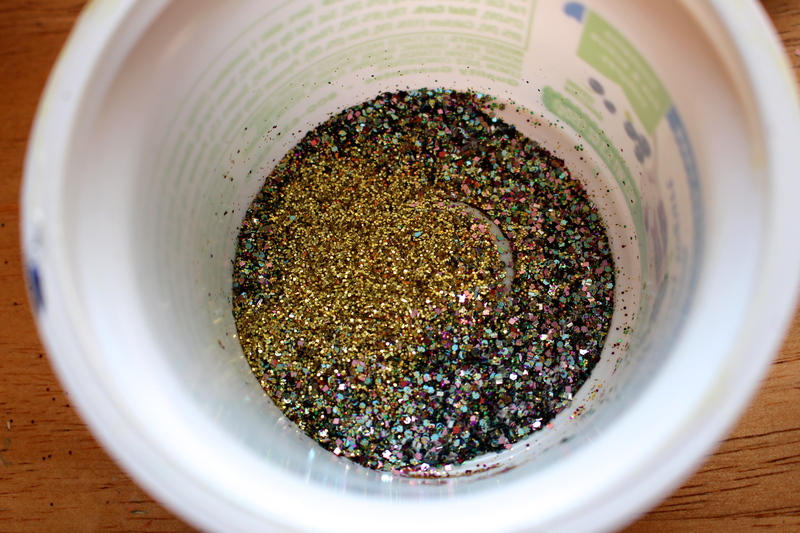 Pour some glue into one small container and pour glitter in the other container. The amount you use will depend on how many kids will be doing the project, but for making one wand you’ll only need a small amount of glue and several pinches of glitter. 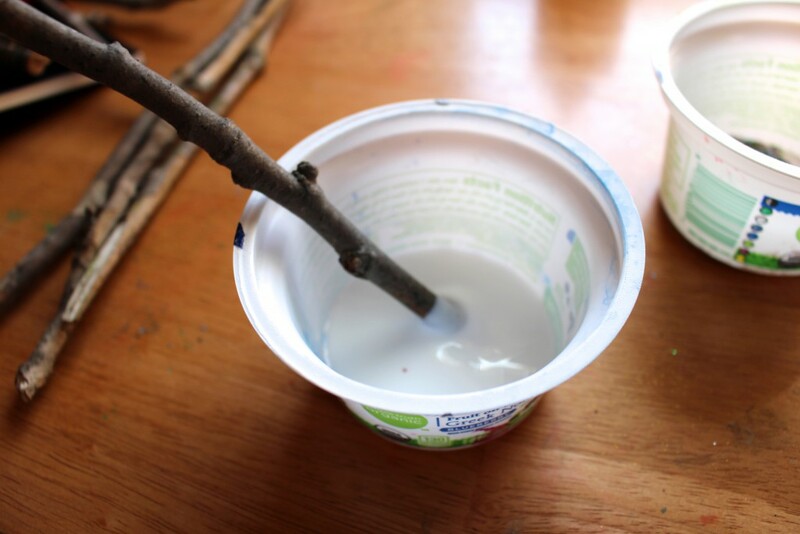 Take a stick and dip the tip of the stick into the glue and coating the tip. 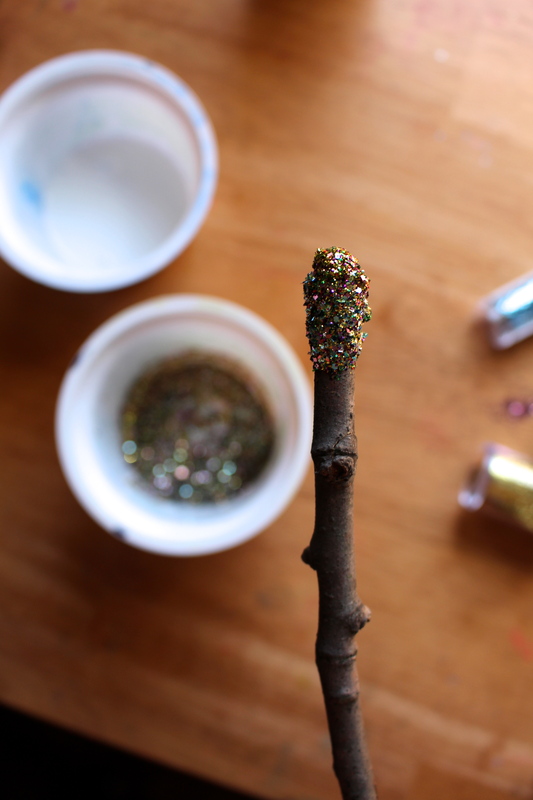 Then dip the coated tip of the stick in the glitter and swoosh it around so that the glue is entirely covered in glitter. 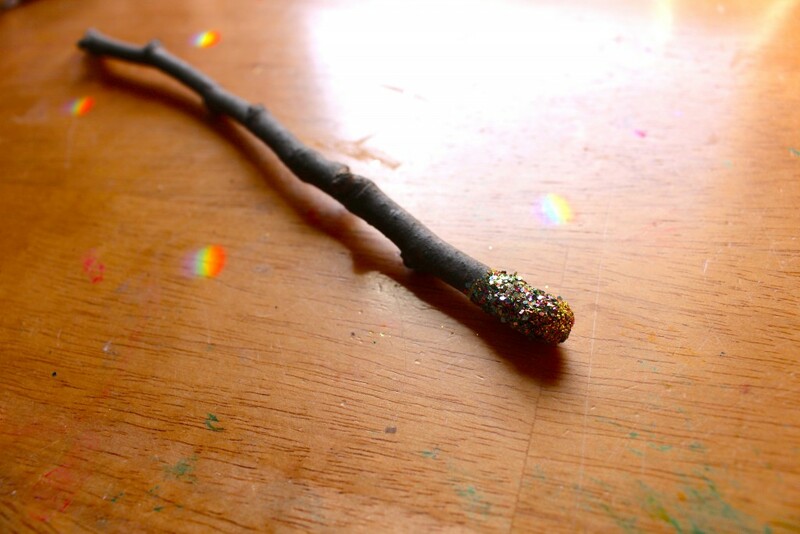 Leave to dry for 30 minutes and you now have a magic wand! 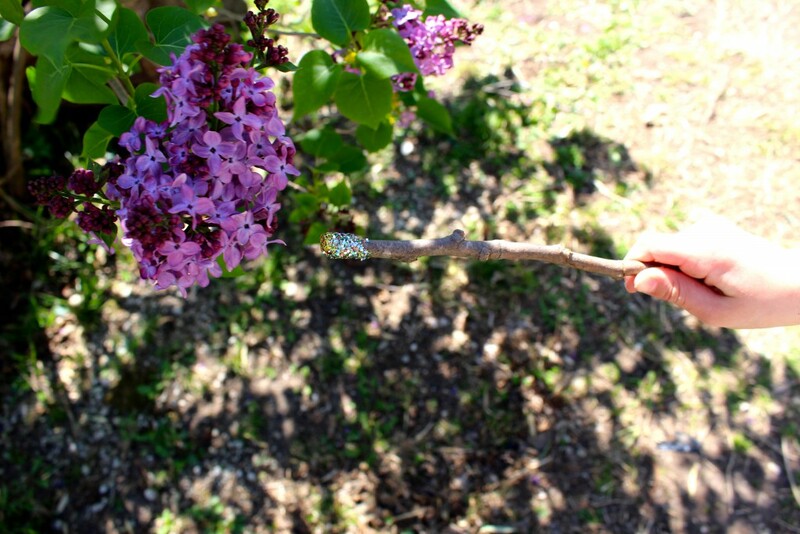 Once your wand has dried, now it’s time to take it outside for a magical spring scavenger hunt! 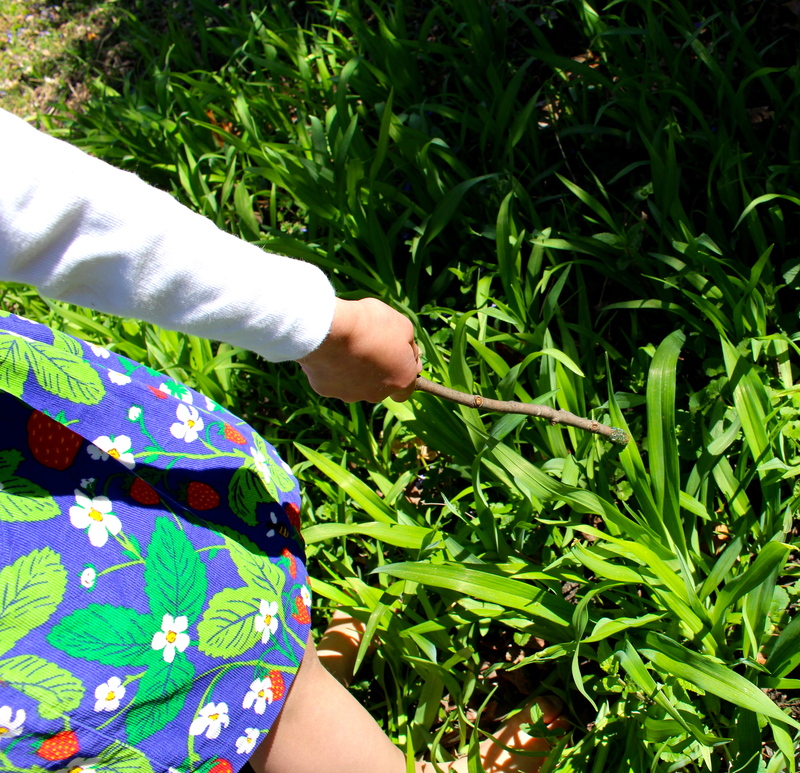 Take a walk in a natural place that is familiar like a backyard or a park you visit regularly. 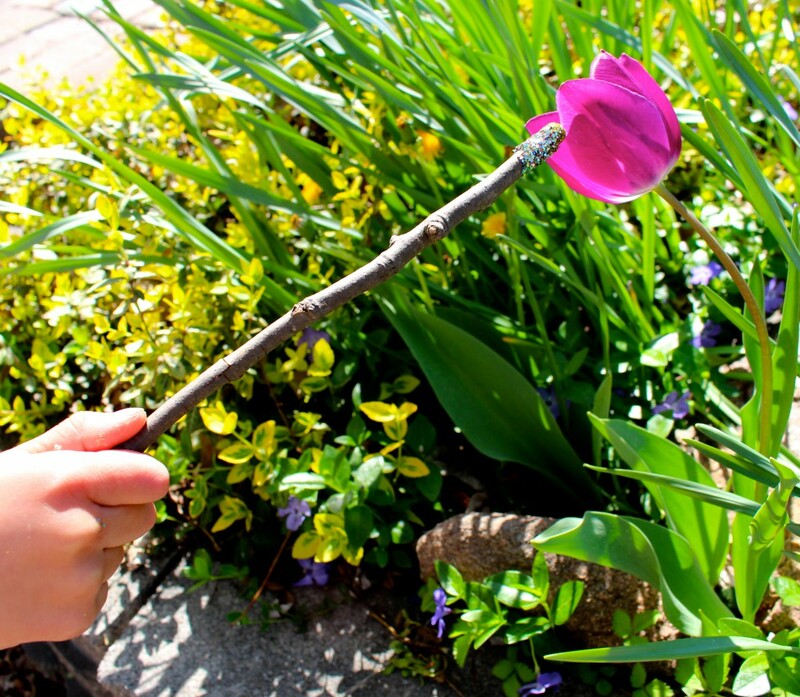 Ask your child/children to use their wands to point out any new signs of spring with their wands that they didn’t notice before. 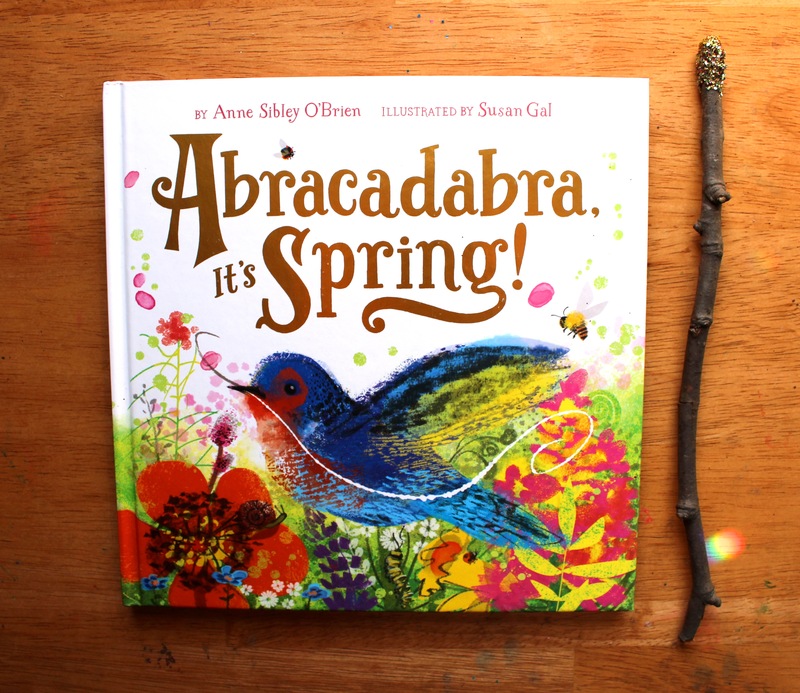 They can even pretend with their magic wands, saying the incantations used in the book and pointing to signs of spring as if they were spring fairies or nature wizards causing these incredible events to happen. 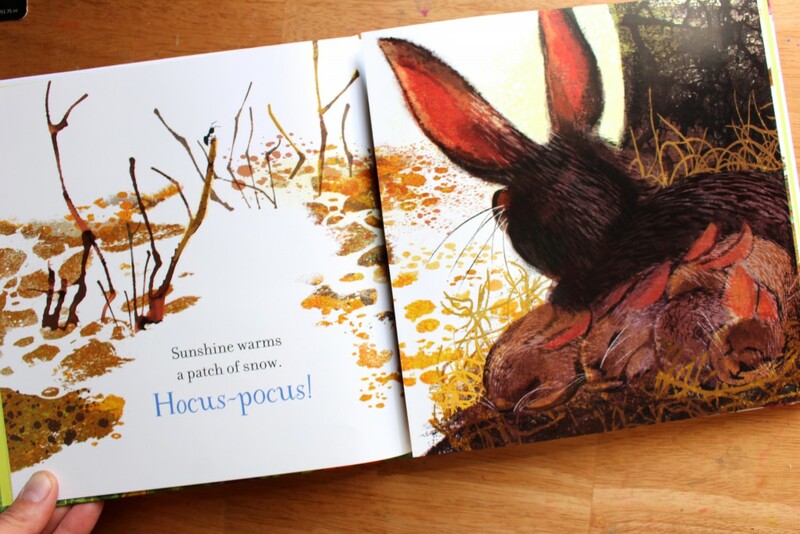 I’m already looking forward to the followup title Hocus Pocus, It’s Fall!, which will be released this summer. 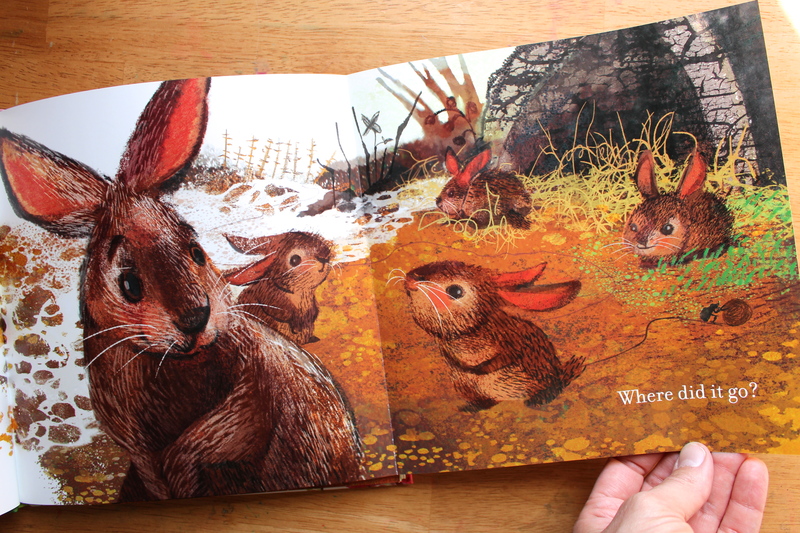 For more books about spring, checkout this list of favorite springtime kids’s books. This is darling! I love the simplicity and versatility of the craft idea – and such a gorgeous spring book!